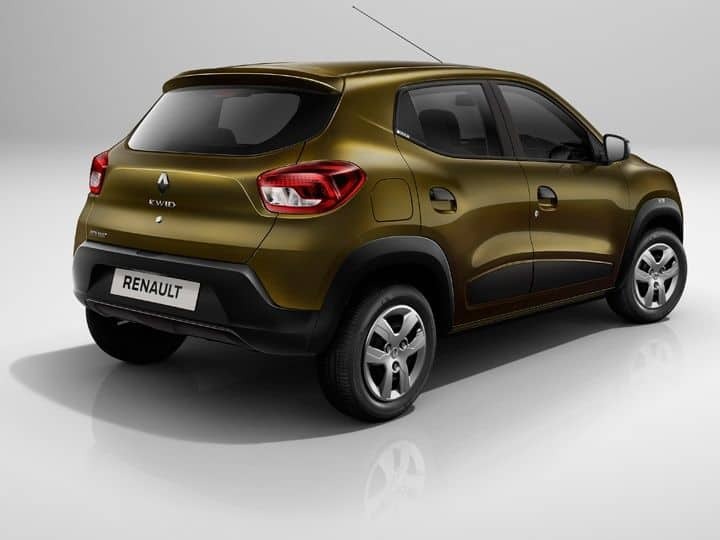 Just a few minutes ago, Renault announced the price of their newly launch SUV inspired hatchback car Renault Kwid. The Base variant is priced at 2,56,968/- Rupees (Delhi Ex-showroom) while the highest RXT(O) trim has the price tag of Rs. 3,53,131/- (Delhi Ex-showroom) . 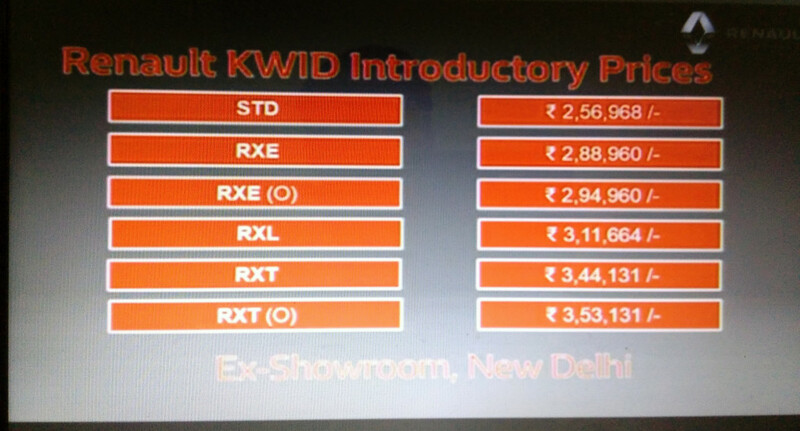 The delivery of Kwid will start in the festive season (Navratras) next month. The exact dates were not announced. The Kwid has already garnered so much interest among car experts, enthusiasts as well as the common people and with this aggressive pricing it seems to be a real game changer.